Have you ever dreamt of what it would be like to pilot an aircraft by yourself? Now, you have the chance of experiencing the excitement of performing dangerous and bone-chilling aerial manoeuvres at an altitude of 35,000 feet. . . . . . .all without a licence to fly!!!! Take-off your very own airplane, in a smaller craft like the Cessna, or take a chance with the more daring and challenging Boeing 747. Soar into the sky, by day or at night, braving storms, lightning or even terrifying thunder showers – with just a click of a button and a change in the controls, you’ll have entered the spell-binding world of flight. Your passion for flying can become an instant reality when you step into the cockpit of the Model Simulator (working model of an aircraft) designed and constructed entirely by the Aircraft Maintenance Engineering students of SAETA (the Skyline Aeronautical Engineering Training Academy) for the Civil Aviation Authority of Sri Lanka and the Ministry of Aviation. Seated at the virtual controls of the Simulator, you feel you are in the cockpit of an actual airplane. You are the pilot-in-command, in total control of the multitude of switches, knobs and levers, all working together to give you the feeling of flying a real life-sized aircraft. Night flying becomes more enjoyable, as you look out onto urban areas demarcated by lighting, and roadways accentuated by car headlights. Even your approach to an airport of your choosing is accurately directed by approach lighting. With realistic flight dynamics and controls, you’ll soon master the skills of taxiing, take-off, cruising, turning, descending and landing, with a few pitching and rolling motions thrown into the bargain for an added adrenaline rush, as you fly through stormy weather. This innovation, a first in the history of Civil Aviation in Asia, was on display at the ‘DEYATA KIRULA’ exhibition in Anuradhapura from 4th - 12th February 2012. This project was undertaken by SAETA to confidently show the world the capabilities of its young and budding aeronautical engineers, while also wanting them to train under similar conditions and situations that they are likely to undergo in the near future, subjected to stress and strict time-lines, while co-ordinating between teams and maintaining the highest levels of quality and safety. It was a presentation by these same students and their instructors that convinced the CAASL (Civil Aviation Authority of Sri Lanka) to assign the total design and development of the ‘DEYATA KIRULA’ Flight Simulator to SAETA, who are grateful to the CAASL for giving them the opportunity. This entire project was made possible through absolute team effort, by entrusting a myriad pre-determined responsibilities to twelve ‘team leaders’, guided under the able stewardship of three senior instructors. The teams comprised: Design (who designed and put together the various aspects to build the project), Structural (metal-work, which involved cutting, drilling and welding, as well as fabricating a fibre-glass cockpit), Hydraulic Systems (developing a motion-platform to generate the moving effects of the airplane through hydraulics and controlled by a joy-stick), Electrical & Avionics Systems (avionics or aviation electronics, encompassing components the pilot directly uses in navigation, as well as weather, radar and radio communication equipment, and other electronic systems not directly used by the pilot to control and monitor flight and engine performance), as well as an Electrical Systems team. To co-ordinate this all, there was an Administration team (in charge of the equipment supply, finance and budgeting, transport, etc. These engineering students have designed and built electronic circuits and instruments entirely by themselves. It is their knowledge and team effort that has materialised into this fully-functional and complete Flight Simulator which was constructed in less than two weeks of working round-the-clock! The Flight Simulator is a ‘must-see’ for aviation enthusiasts of all ages, especially students seeking a career in aeronautical engineering, as the Simulator displays all facets of aeronautical engineering. This impressive feat by the engineering students, who have put into practice the theoretical knowledge they have gained by studying for the Aircraft Maintenance Licence, reflects the capabilities of the young aeronautical engineering students, as well as those of the instructors and lecturers at both the Skyline Aeronautical Engineering Training Academy and the Skyline Flight Training Academy. Teaching is a noble profession, and Skyline are committed to imparting to the students the same degree of knowledge in every subject that their team of lecturers and specialists have, which they have gained through years of experience. The knowledge gained will enable one to soar to new heights as a distinguished aviator with a distinctive identity, whether here in Sri Lanka or anywhere else in the world. 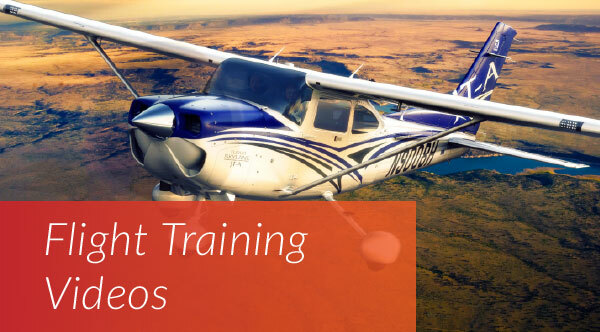 Skyline’s aviation education programs are taught by experienced professionals. Their wealth of practical experience provides an invaluable resource for enriching class interaction. They use their skills in seminars, presentations, discussions and other participation-oriented teaching methods to promote the understanding of concepts learned. The AML (Aircraft Maintenance Licence) graduates are sure to be held in highest esteem in the world of aeronautical engineering, due to the collective efforts to ensure they are ‘job-ready’, with advanced training and an in-depth knowledge. The demand for these professionals who keep an aircraft in safe operating condition is higher than ever – a recent study by one of the world’s biggest aircraft manufacturers reveals that 300,000 new aircraft engineers will need to be hired in the next 30 years. This is another reason why over 95% of all SAETA graduates have received job offers from renowned aviation companies. At Skyline, what they do - and do best - is teach the science, practice, and business of aviation and engineering. As aviation and aerospace continue to evolve, so does Skyline, committed to the expansion of opportunities for Sri Lankan and foreign students. Guiding this process of evolution are dedicated teachers, administrators, alumni, trustees, and advisory board members who share the students' love of aviation and who strive to ensure Skyline’s continued position as Sri Lanka’s premier aviation education institution.